As a real estate professional, you work with floor plans everyday. Therefore you know how much time and effort it takes to make a great floor plan. 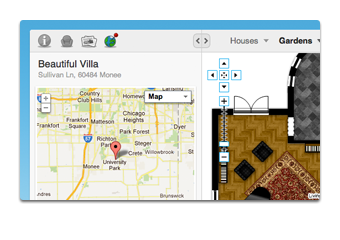 With Floorplanner you can start making excellent floor plans in an easy and intuitive way, right away. Why make an interactive floor plan? With the old black and white floor plans many people find it hard to get a good sense of the space. Our interactive floor plans solve that, allowing customers to explore the floor plan, decorate it, and get a real feel for their potential new home. Recent studies show that more than 85% of homemovers found floorplans either "essential" or "useful". Over half of the respondents said they would actually spend more time looking at a listing if a floor plan was included. Selling a house is presenting a house. Finished your floor plan? Then things are about to get even better. 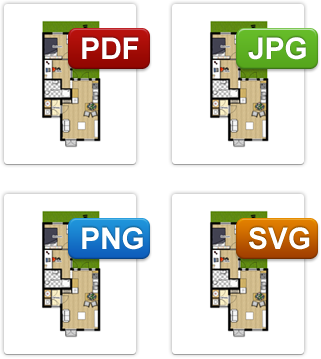 With your Pro account, you can create crisp and clear 2D images, and export them to different formats, like PDF, JPEG, PNG and SVG. Need your floor plans to scale? No problem! Our PDF export makes sure all plans are in perspective. 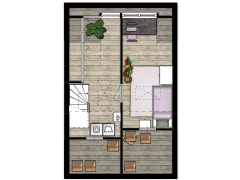 Moreover, you can get your floor plans in high resolution, so they always look perfect for print. This is the promotional material you've been looking for. Our 3D rendered visuals let clients and home-buyers really connect to your real estate marketing. 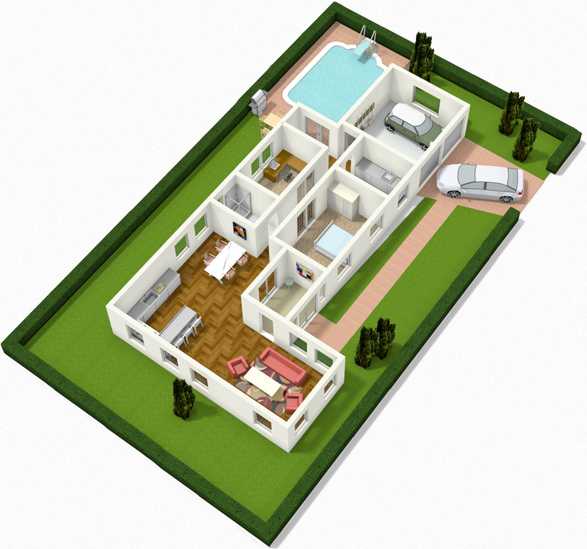 Plus, with your Floorplanner Pro account you can create as many 3D visuals as you like. We know that your website is the center of your online marketing strategy. 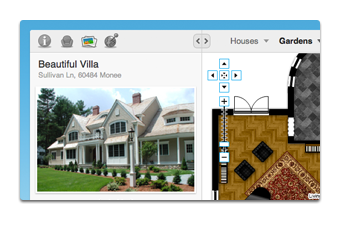 So you can embed every floor plan directly onto your website, allowing visitors to play around with the interior of their soon-to-be house. You and your clients go way back. We understand and don’t want to get in between. 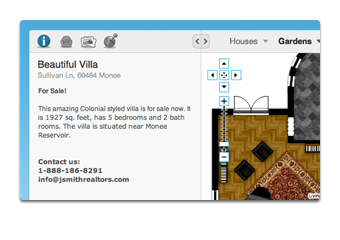 So you can brand your floor plans in your company’s own style, adding your own logos and company colors. Every public plan is available on the short pl.an domain, perfect for sharing! And naturally, all plans are integrated with Facebook and Twitter, so visitors can easily share their floor plan with friends and family. It's more than a floor plan. Engage your customers with richer information. You can add all the detail needed for the best representation of any home. No time to draw the plans yourself? No need to! Plenty of companies all over the world can help you bring your floor plan from sketch to finished design. 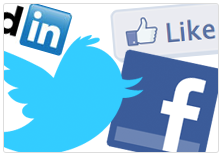 Click here to see our partners.